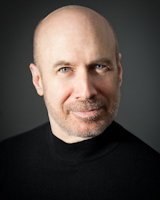 New thinking: How will we turn the corner on privacy, protection and control? Short lead (257 out of 250 characters): We dream of freedom but how will we turn the corner on privacy, protection and control? 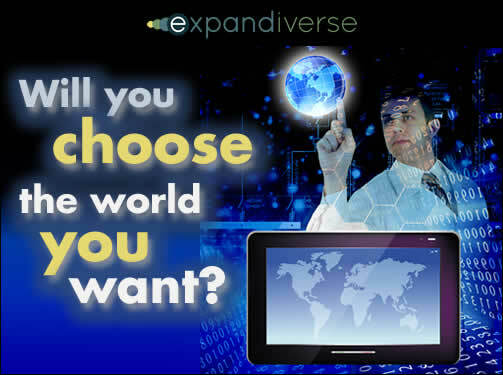 Expandiverse Technology boundaries are digital barbed wire that protects you. As we build a digital world, it will be the world you choose and want, for the first time. Long lead (392 out of 400 characters): We dream of freedom but how will we turn the corner on privacy, protection and control? Today you’re behaviorally monitored, anticipated, guided and sold. 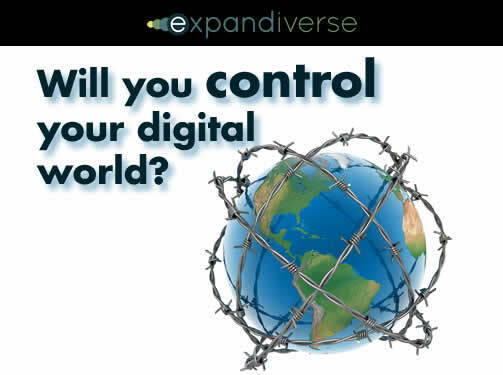 Expandiverse Technology’s boundary management is digital barbed wire that protects you with priorities, filters, paywalls, protection and privacy. 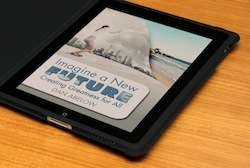 As we build a digital world, it will be the world you choose and want, for the first time. 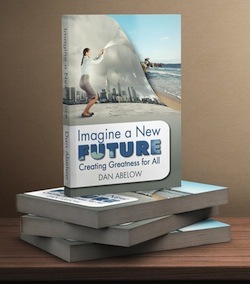 (Optional) AFTER the lead, BEFORE the first image: This chapter from the new book, Imagine A New Future: Creating Greatness for All, describes how we will we turn the corner on privacy, protection and control. We dream of freedom but how will we turn the corner on privacy, protection and control? Today you’re behaviorally monitored, anticipated, guided and sold. Expandiverse Technology’s boundary management is digital barbed wire that protects you with priorities, filters, paywalls, protection and privacy. As we build a digital world, it will be the world you choose and want, for the first time. How could we turn the corner on personal privacy, protection and control? This is the same kind of historic transformation that happened 150 years ago when cattle drives reigned supreme and the myth of the American Cowboy was born. This is your twelfth cattle drive from Texas to the railhead in Abilene. You’ve worked mostly the Chisolm trail, usually with about 10 wranglers driving 1,000 to 2,000 Longhorns to Kansas. During most years over half a million head were driven. The just-paid cowboys celebrating in Dodge City named it the “Cowboy Capital of the World.” It deserved it. It’s been a tough life on the trail, but it just turned rougher. That new-fangled barbed wire is springing up around farms, blocking the trail and forcing the lead “pointer” cowboys to cut through the fences. Too often groups of farmers were waiting, guarding their property with guns, forcing the cattle drive to find a way around or start a range war. Next year would be worse. Barbed wire was sold everywhere. Homesteaders were fencing off their farms, choking out the open range and building permanent, enduring farm communities. They were turning lawless cattle towns into lawful farming villages. Cattle drives were ending. Forever. Is today an open range or fence-protected? In the beginning, spam e-mails mushroomed until they dwarfed a much smaller percentage of real e-mail. Next a large and expanding number of dangers — viruses, spyware, Trojan horses, behavior tracking cookies, hidden Flash cookies, and more — forced PC users to run antivirus software, firewalls, browser add-ins and other defenses. These usually kept PCs from being infected. Then many free, downloadable antivirus “offers” actually included dangerous malware. The problem started disguising itself as the solution. All along your attention has always been sold. Millions of TV and billboard viewers, magazine and newspaper readers and radio listeners have always been sold. Now your web searches and online steps are tracked and profiled by multiple companies, and sold to advertisers. Because every online step is trackable, your behavior belongs to everyone but you. Thanks to Edward Snowdon, government over-reach has been outed. Mobile phone call data, browsing history, emails, online games, location data, video calls and other communications are hoovered up by government agencies in multiple countries — even though nearly everyone is good and trustworthy. The world is full of cattle drives. Are you the cattle? You’re behaviorally monitored, anticipated and guided whenever possible. When you resist you’re roped and steered at every turn. In the end, you’re driven to market and sold for so much per view, so much per click. Your life is an open range full of cattle drivers, without a strand of barbed wire in sight. If you had digital barbed wire, would you use it? 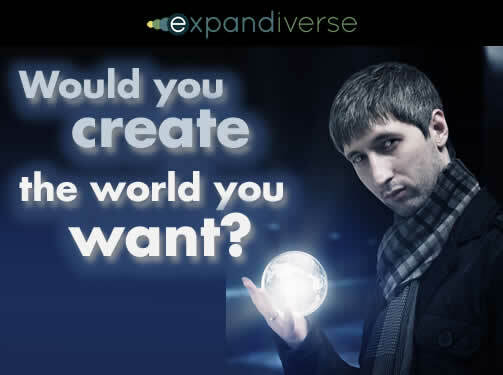 As a new option, new Expandiverse Technology adds an Alternate Realities Machine (ARM). This includes ARM Boundary Management Services that turn control over to each person. Think of its boundaries as barbed wire fences and gates. You get to fence out what you don’t want, and let in what you like. These Expandiverse Technology boundaries let you control what’s on your devices’ screens. You already do this without hesitation to TV’s entire “digital world” when you turn it into your personal resource, with only the TV shows you want. Between your DVR (Digital Video Recorder) and your TV remote control, you record or watch (let in) what you want, and skip (fence out) the ads, networks and channels that don’t interest you. • Priorities / Filters Boundary so you can specify what’s “in” and “out” on your screens. • Paywall Boundary so you can be paid for your attention (especially by ads) instead of giving it away for free. • Protection and Safety Boundary that provides new kinds of digital and physical self-chosen personal protections for individuals, households, groups (like companies), and the public. • Privacy Boundary so individuals and groups can control what’s public, private or secret. The Alternate Realities Machine (ARM) also includes ways to save, distribute and try out new Boundary Settings both quickly and widely — so you can see, access, distribute and try new sets of boundaries. It’s like moving your “digital fences” whenever you want to see how different limits work — do you like your new “personal space” better than the old one? It’s no wonder the cable services won’t sell an a-la-carte service where you buy only what you watch and stop paying for what you don’t see. The only way most television networks exist is by forcing “television subscribers” to pay for lots of channels and shows they never use. They’re on a cattle drive, and 73 million cable subscribers are their cattle. Digital barbed wire lets you create your world. And direct it. When barbed wire was invented, it was new technology. For the first time farmers could protect their property. Their fences ended the cattle drives that trampled their homesteads. Could something similar happen from ARM Boundary Management Services, a part of new Expandiverse Technology? 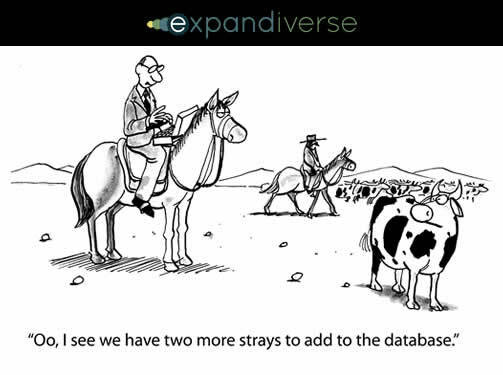 Today’s “cattle drivers” will object if you become able to filter them out. They know parts of what they do isn’t liked, and some of their herd will leave to homestead a farm they control. Just as people have flocked to the TV remote and digital video recorder (DVR) to skip ads and shows they don’t want, ARM Boundary Services provide “digital barbed wire” to skip what you don’t want on your screens. But the upside is far more important. Just like DVRs show only what you want, digital boundaries filter in what you like and enjoy. As we become a fully digital world, you’ll move from screen to screen with your devices recognizing you, and your digital world following you. It will be a world you choose and want, for the first time.